She saved a baby, but can she save her marriage? 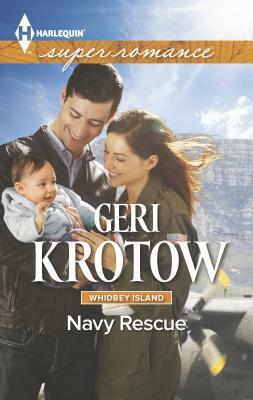 Navy commander and pilot Gwen Brett is shot down in a disastrous mission--and survives six months in terrifying circumstances. She manages to escape with an orphaned baby she rescued and is determined to bring home. Devastated when she was presumed dead, her ex-husband, Drew, is overjoyed by her survival. He offers Gwen and the baby a place to stay, to recover. Gwen accepts, convinced their love is gone. But almost losing her for good makes Drew realize he wants her back--and Gwen feels the same.... However, this rescue might be the hardest one yet.